Angus Taylor is a force to be reckoned with. 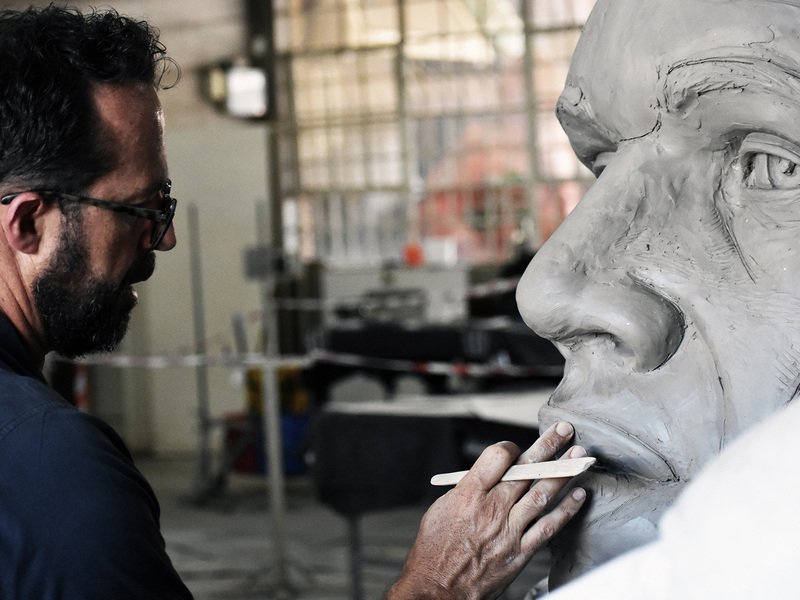 He relishes working with challenging materials on a scale that many sculptors find intimidating. His craftsmanship, bold and visionary approach and his original use of materials has resulted in landmark sculptures and many ambitious public and private commissions around the world. 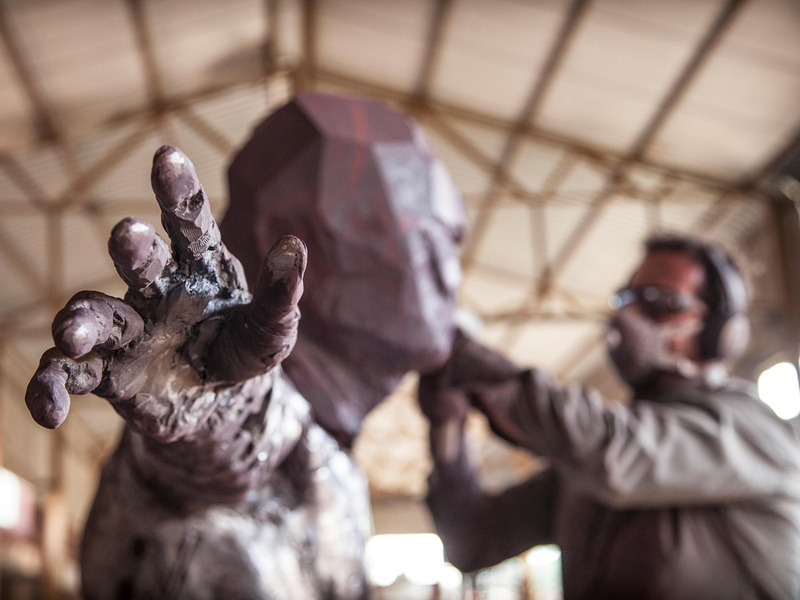 Known for his powerful, often monumental, sculptural works, Taylor works with an extraordinary range of materials from his immediate environment – Belfast granite, red jasper and the orange soil found near Pretoria, where his studio is based. Even when he chooses traditional materials such as granite or bronze, he deploys innovative techniques; imprinting texts into the bronze surfaces or eschewing the ‘carvability’ of granite in favour of its block-like potential to construct works that allude to human form, without describing it. Contrasted with these materials, are works made of packed grass, compacted earth, charcoal briquettes and stacked slate. The inventiveness with which he tackles materials positions Taylor as a post-modern artist making reference to traditional crafting techniques, but using them to create works that are unmistakably contemporary. Two decades ago Taylor founded Dionysus Sculpture Works (DSW) where he honed his moulding and casting proficiencies to become a master craftsman. 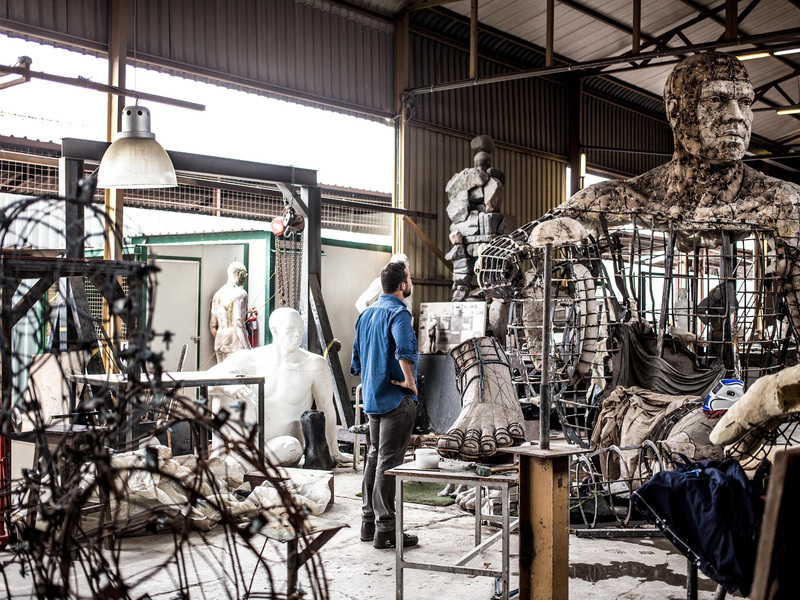 DSW’s skills in modelling, mould-making and casting has made it a much sought-after foundry and, in addition to Taylor’s own projects, the foundry casts for many other leading artists, including Norman Catherine, Sam Nhlengethwa and Deborah Bell. Through his foundry, he employs, trains and nurtures a staff of almost 40 and also finds time to develop the talent of younger artists. 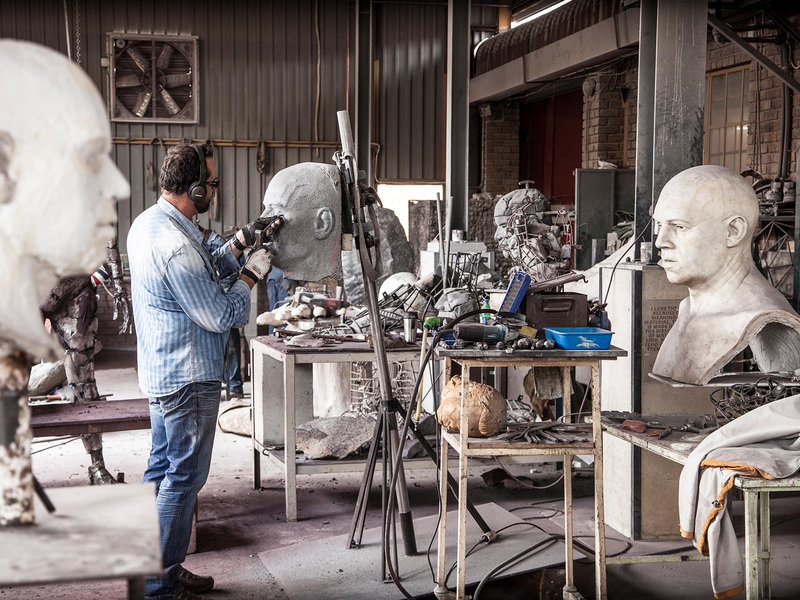 In 2017 he was awarded the prestigious Helgaard Steyn Award for his notable contribution to South African sculpture. Angus Taylor’s work can be found in many private and public collections in Africa, Europe, North America and Australia.